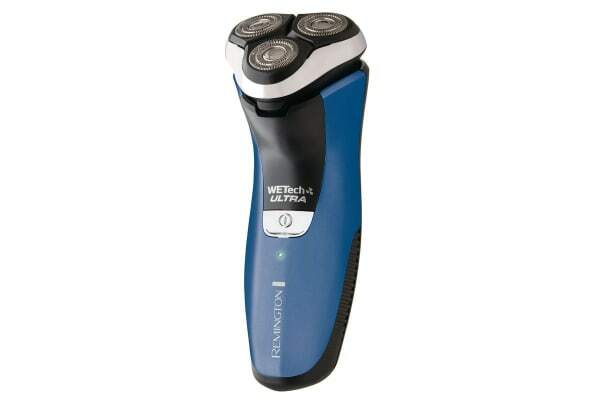 Get quick and precise results with the Remington WETech Precision Ultra Men Shaver. The comfort pivot neck and active contour flexing heads respond to your facial contours for a comfortable, close shave. 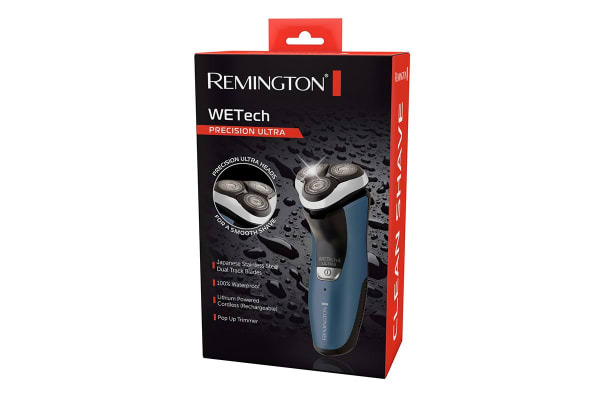 The Remington WETech Precision Ultra Men Shaver features precision ultra heads with slots and dots to easily shave longer hairs and stubble whilst protecting your skin from nicks and cuts for an ultra smooth shave. The Japanese stainless steel blades are much stronger than the conventional blades to give you the professional salon-style shave. The dual track blades offer more coverage ensuring maximum skin contact. 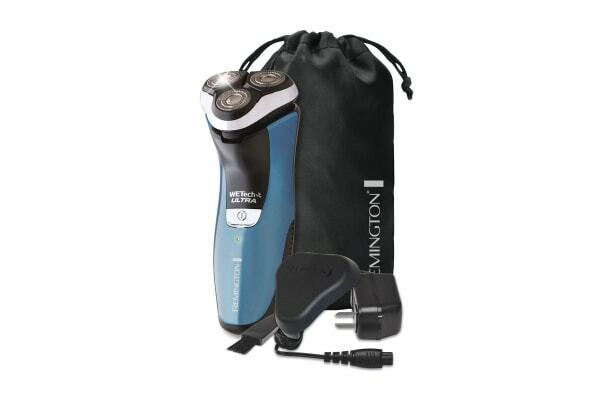 This shaver features a pop up trimmer which offers a complete neat shave thus saving time. The shaver is 100% waterproof which enables it to use even during a shower. The washable heads and cleaning brush makes cleaning easy and effortless. 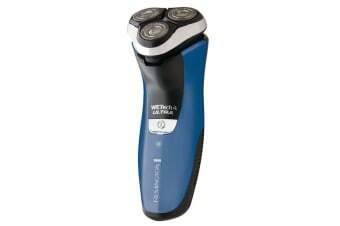 Lithium powered batteries can be charged quickly, it needs 4 hours to get completely charged and supports cordless rechargeable operation, making shaving easy and comfortable. It also comes with a head guard and storage pouch to protect the shaver and blades from any damage.